Send your train roaring down the track! 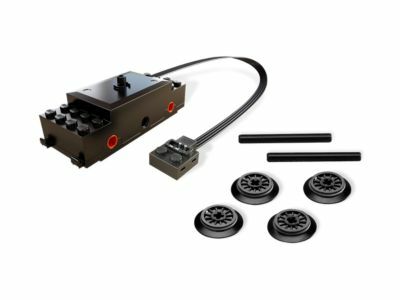 Lay out your tracks, then add this LEGO® Power Functions Train Motor to your train engine, combined with the required parts, and you’re ready to roll! Price is equal to the initial Lego retail price! This comes down to 213.57 cent per brick. The LEGO® Power Functions Train Motor (88002) Lego set is available from the sites below. However, they do not offer delivery to your selected region. The LEGO® Power Functions Train Motor (88002) Lego set is no longer directly available from the sites below. However, 3rd party partners of these sites might still have the set available.